​McCracken, Dennis W., passed in peace Saturday, March 23rd, 2019, at the age of 72. Survived by his beloved wife, Debrah Ruth. Loving Father of Courtney (Gregory) Shacker and Megan (Matthew) Thompson. Father by choice to Tiffany Patton, Erica (Kyle) Jones, and Allison Patton. Proud Grandfather of Brett and Rohan, Evelyn, Kaelen and Gage, and Murdoch. Brother os Steven (Susan) McCracken and Glenda Sue Wright. Former husband and friend of Merrillee Karanickolas. Further survived by nieces and nephews, other relatives and friends. 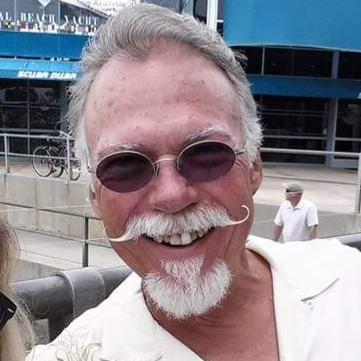 Dennis will be fondly remembered by his family as a loving husband and father, SASS Cowboy, a distinguished US Army Veteran, and for his epic mustache. Private family serves were held.